Filming the development of a boy’s life over the course of twelve years, “Boyhood” uniquely captures the wonder of how a person blossoms from the origins of a simple human being. The life of young non-actor Ellar Coltrane, and the character he plays, vividly expresses the way in which we are influenced by the lives of people around us through the gradual passage of time. The personal journey of "Boyhood" is bookended by its star breaking the fourth wall. In the beginning, it happens because of on-screen jitters, delivered amongst a non-acting child's clunky dialogue delivery. In the end, he is assured, and most of all, aware (his glance is equal to a wink). In between these moments through 150 minutes is the growth of both a film performer and a fictionalized human being. We see Coltrane spurt physically, and develop a personality. The growth that he does off-screen shows in his line-reading, which he delivers with completely natural joie-de-vivre, from the wide-eyed child years, to the mumbly cool of teen times. As much as the word "experiment" seems strange to use in association to a non-actor, "Boyhood" is honest to the evolution of a person as much as it is their line-reading. Those who support the on-camera maturity of Coltrane are constructed with equal care, contributing their own evolving presence to this film. Patricia Arquette in particular, as Mason's intellectual mother to him and his sister Samantha (Lorelei Linklater), presents the film's most vivid example of its other favorite subject group, the post-teen - adults exhausted by the ambition of trying to find the keys to life, but still desire to influence younger humans for their chance at finding the ever elusive perfect contentment. As one of the film's only main actors who appears throughout Coltrane's twelve years, Arquette has a thoroughness with her character that sneaks up on the viewer at the very end, where her character's own journey bottles to a different peak then that of her on-screen son's. Her final words provide a great balance to the wisdom of “Boyhood,” which shows one teen progressively liberating himself from the constraints of the world, while his mother takes a journey that is more crushing, if not more gravitational, to the incalculable course of life. Similar to Arquette's presence, “Boyhood” achieves its largest profundities when Coltrane directly interacts with adults. The trademark heart-to-heart conversation, a singular event in many coming-of-age films, is multiplied to excellent effect. In these scenes, the idealism of supporting adults (people of power attempting to discipline Mason and thus influencing him directly or indirectly) is shown vividly, along with their own influenced impressions of masculinity and maturity. It is in these scenes as well that Linklater's experiment, a film curious about influence, presents its finest fictional/non-fictional examples. As the god of these fictional creations, Linklater, the philosopher of “Slacker,” “Dazed and Confused,” and most recently the laid-back “Before Midnight,” presents a direct story with interest most of all in a downbeat step-by-step perspective of life. For the climactic crises that are presented, a greater amount are alluded to through editing. In its humility that mixes fiction with non-fiction, "Boyhood" captures life most similarly to Terrence Malick's “The Tree of Life,” presenting the past as the extended scenes from our memory's montage. This Blu-ray features two extras about the unique creation of Linklater's film. The cast interview each other at different points in the production in the 20-minute philosophical overview "The 12 Year Project," which is concise enough however comparably short the film's big scale. A larger, though drier look is provided with a taped 55-minute Q&A session from "Boyhood" screening. At the very least, this special feature provides one more glimpse at its growing and aging subjects, to see where they are even more currently. Ellar has a septum piercing, but more importantly, just about eight minutes into the session, Linklater's featured daughter Lorelai puts her microphone down on the ground. Though there will always be much curiosity about the project's construction, the final product of "Boyhood" is one that expresses truth in its marriage of experiences on and off-camera. It's the kind of cinematic experience, a complete meditation, that speaks for itself. Divided into year-long chapters that start its main character at the age of six and leave him when he goes to college, “Boyhood” follows Coltrane’s character Mason as he, his sister Samantha (Lorelei Linklater, daughter of Richard), and their mother (Patricia Arquette), grow together in Texas. With people of distinctly positive and negative influence passing in and out of their existence, they experience a more modern definition of family, and a constantly shifting sense of home. Outside of a domestic definition, they are characters embedded into the pop culture consciousness of their time, an attribute presented with tact by Linklater and a time capsule soundtrack. 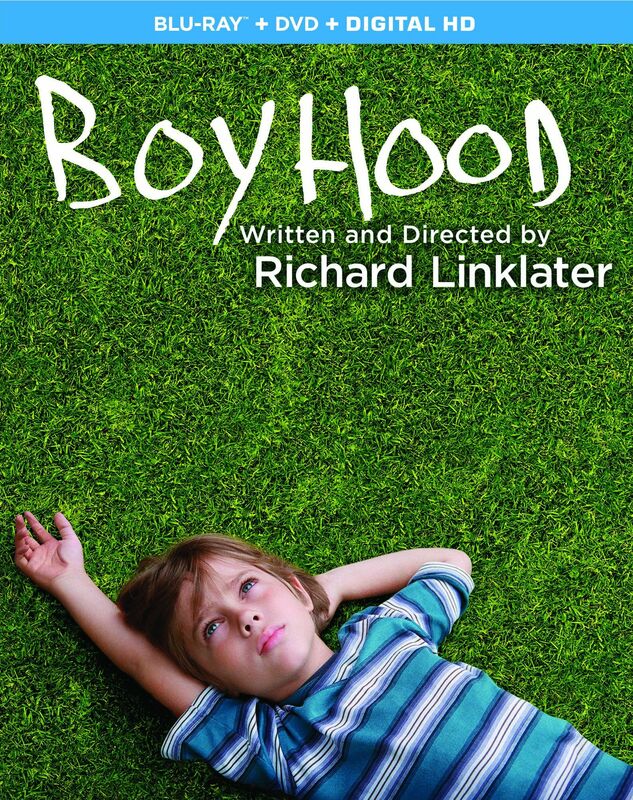 ”Boyhood” was released on Blu-ray and DVD on January 6, 2015.